Just got back from a Caribbean cruise on the Disney Cruise Line ship, the Disney Dream. The cruise was for four nights and two Ports of Call. The first day we sailed from Port Canaveral and partied, dined and slept to wake up the next morning in Nassau, The Bahamas. Our cabin faced Downtown Nassau and the port. The yellow tower is the Port Tower which does the same job as an air traffic control tower at an airport except for the many cruise ships which come and go daily. 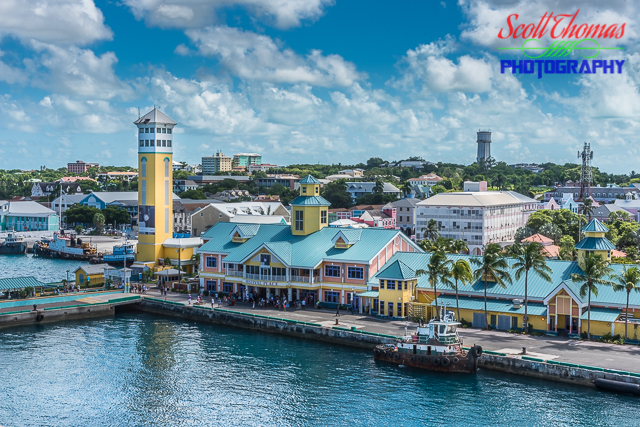 Cruise port tower and buildings photographed from the Disney Dream docked at Nassau, The Bahamas on Tuesday, September 25, 2018. Nikon D750/24-120VR, 1/125s, f/16, ISO 180, EV 0, 52mm Focal Length. After shopping and exploring Nassau, we left port and sailed over to the Disney Cruise Line’s private island, Castaway Cay. Here families enjoyed a full day of activities, food and beaching. For adults, there is Serenity Bay for those 18 and over to enjoy a more quiet experience. Family Beach on Disney’s Castaway Cay, Bahamas on Wednesday, September 26, 2018. Nikon D750/24-120VR, 1/250s, f/11, ISO 100, EV 0, 24mm Focal Length. The last day of the cruise is at sea. 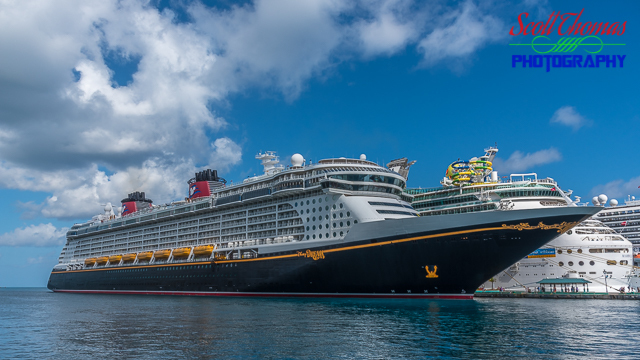 The Captain made sure to keep the best weather over the Disney Dream while guests enjoyed the ship’s many amenities and attractions like the famous Palo Brunch. 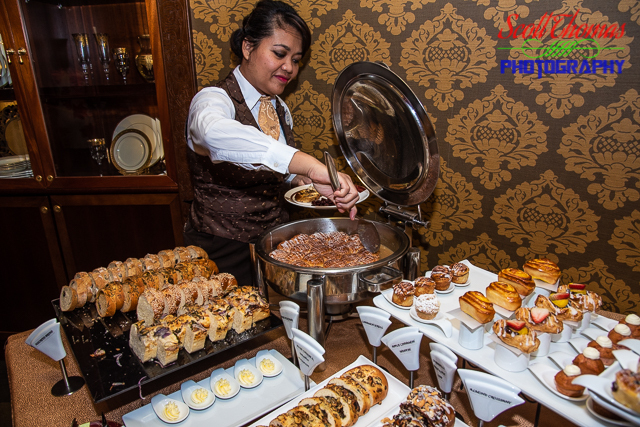 Server scoops out a warm sticky bun during the Palo Brunch on the Disney Dream on Thursday, September 27, 2018. Nikon D750/24-120VR, 1/60s, f/5.6, ISO 400, EV 0, 24mm Focal Length, Bounce Flash. After eating for two and a half hours at the brunch, members of my party took the time to relax on deck or read a book. As for me, I took a nap! The next day we returned to Port Canaveral and, after a last breakfast with our dining crew, disembarked. No worries, we will be back since we booked our next voyage while onboard. She has been booking and planning Disney trips for satisfied travelers exclusively for 18 years. 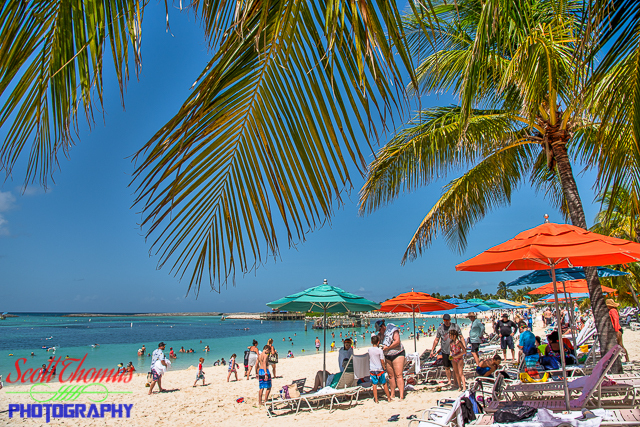 This entry was posted in Travel, Weekly View and tagged 24-120mm, atlantic ocean, bahamas, beach, brunch, caribbean, castaway cay, cruise, disney cruise line, disney dream, food, nassau, nikon D750, palo, restaurant, ship, vacation, vr. Bookmark the permalink. Looks like a fun time Scott great pics ! !